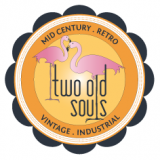 Two Old Souls is the one and only place to come if you’re looking to find mid century furniture and interiors for the home, just what you need to style a shoot or event, or just to stumble across that special something you never even knew you wanted. Two Roads Vintage – Stocking clothing and accessories from the 50’s to 90’s with a sentimental weakness for clothing of the 70’s. We also collect and stock vinyl, jewellery and homewares. urban rustic – Newport – A carefully curated collection of modern vintage eclectic items. Good design and great quality is the basis for a cosy colourful shop full of mid-century art glass, Don Featherstone Flamingos, vintage Pyrex, retro kitchenalia, upcycled furniture pieces, new handmade jewellery and other unique decorative pieces for the home. Ussedabbussed is the largest new & vintage designer store in Sydney, it boast over 2000 of the most sort after designer labels from Australia and overseas. Comprises of 2 levels of men & women’s high end designer clothing at wholesale and discount pricing. Vampt Vintage Design are the Sydney specialists in highly collectable and unique pieces of vintage and mid-century modern design. 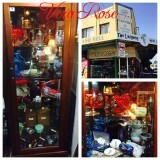 Vera Rose located at Shop 9 within the Southern Antiques Centre Kogarah NSW .We sell retro ceramics , glassware and anything which can be given a new life . Reuse , re task or just fall in love with a bygone piece of memorability . 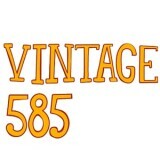 Vintage 585 – For all your vintage props and antique needs! We buy, sell, consign and rent. 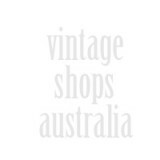 Vintage Allsorts is a Sydney based Events, Entertainment and Styling Agency.